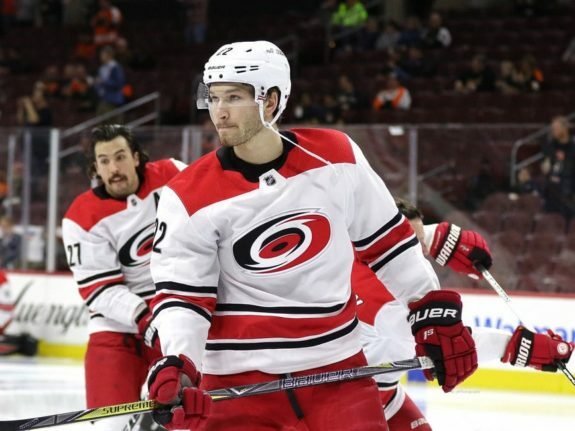 Carolina Hurricanes defenseman Brett Pesce is quietly making noise, noise that says, “I’m pretty good.” While he may not come out and say something that self-promoting, it’s true. For the past few seasons, Pesce has worked in the shadow of fellow d-man Jaccob Slavin. Lately, he has moved out of that shadow and into the spotlight. Pesce is not showy on or off the ice but he is one of the NHL’s top defensemen and a large part of why the Hurricanes are close to making the NHL playoffs. Much like his play as a professional, Pesce’s amateur hockey career was steady and hard to criticize. He just did not stand out. There is no flash to Pesce’s game, but he plays solid hockey on the blue line. Perhaps having former Detroit Red Wings defensive coach Bill Peters as his head coach helped him maintain his solid work ethic and old school mindset that doesn’t seek the spotlight. Slavin doesn’t appear to seek it either, but it seems to come to him naturally. In either case, Slavin and Pesce are two young defensemen that are growing into elite players. 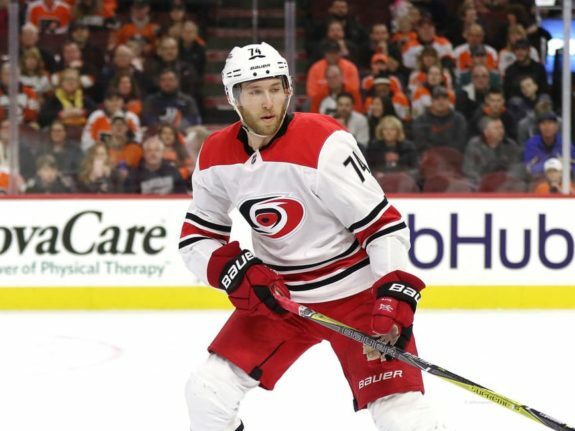 Consider this statement in an article from Chris Miracle at CardiacCane.com two years ago: “When you look at the current state of the Carolina Hurricanes defensive ranks, two defensemen stand out: Jaccob Slavin and Brett Pesce.” Miracle points out that Justin Faulk had been the face of the team’s defensive corps for a couple of seasons, but that the pair of Slavin and Pesce were taking the Hurricanes’ defense to a higher level. Jacob Slavin and Brett Pesce have to be the two best defenseman in the NHL that people don't even realize exist. Teams across the NHL would love to get their hands on Slavin or Pesce. Hopefully, general manager, Don Waddell will not entertain moving either or both of them. Pesce leads the Hurricanes with a plus-33 in 66 games this season, ranked fourth in the NHL. He is 10th in points on the Hurricanes with 26. From a career perspective, he is trending upward, with 20 points two years ago, 19 last season and now 26 points so far this season. His career plus/minus is a plus-43. Pesce says he’s having a lot of fun playing hockey. And why not? He’s 24 years old and has already signed a big contract that pays him $4 million per season for the next five seasons. And his team just might make the playoffs this season. With a handful of games left, and hope rising that there will be postseason play for the Hurricanes, Pesce is one of the guys making it happen. He is having fun and playing well and hopefully will be having fun in a Hurricanes sweater for a long time.